donnelly centre at night (cynthia colby) In the late 1990s, there was no human genome sequence, no wide-spread stem cell technologies, and DNA sequencing was slow and expensive. Nevertheless, University of Toronto Professors James Friesen and Cecil Yip foresaw that new genomic technologies would open up massive progress in biomedical research. Anticipating the growing need for interdisciplinary approaches, they envisioned a research institute in which experts from different fields of science can work together towards solving the next big questions in human biology. Thanks to an investment from the Government of Canada, the province of Ontario, private sector companies and Terrence J. Donnelly, a philanthropist with a vision, that revolutionary idea materialized into a world-renowned institute for biomedical research – the Donnelly Centre. 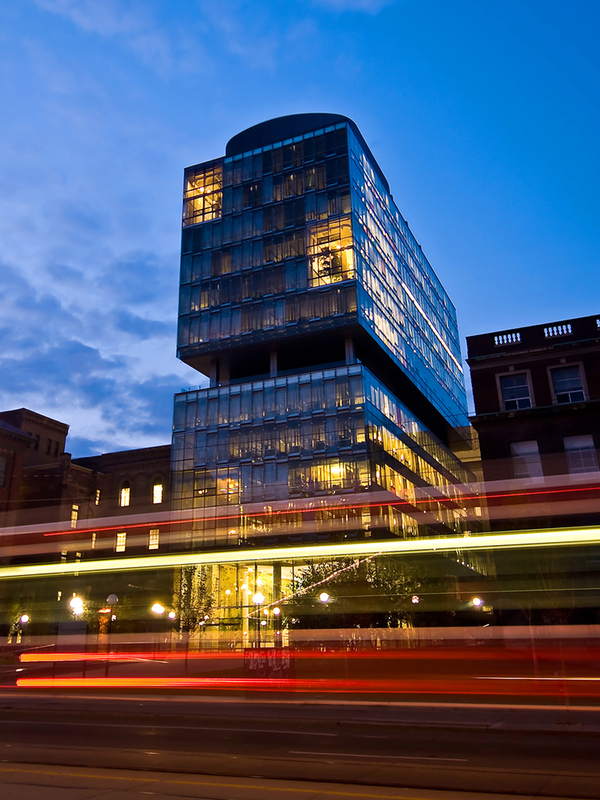 On November 5, 2005, the Donnelly Centre for Cellular and Biomolecular Research opened its doors to world-class researchers in biology, computer science, engineering, chemistry and pharmacy under one joint roof, where they could feed off each other’s expertise to unearth the clues to the world's most devastating diseases. The architecture of the building is part of the science. The open concept labs and social space give our scientists an ideal place where they can interact, collaborate and share ideas. 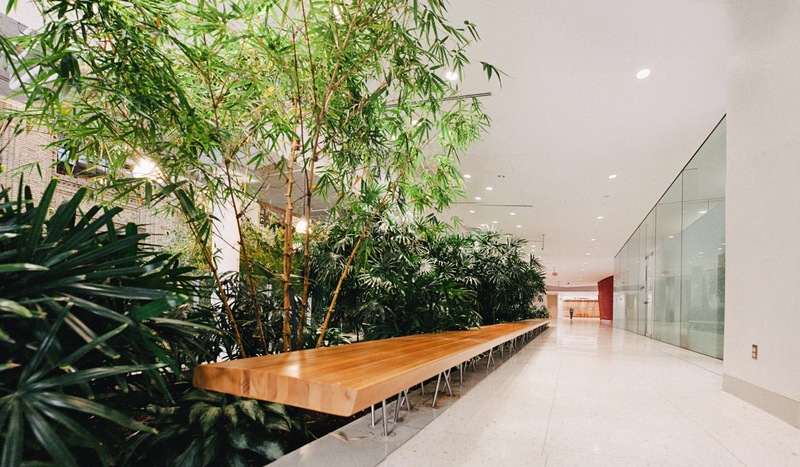 Nestled in the heart of Toronto’s discovery district, the Donnelly Centre houses 35 faculty and some 500 research staff and trainees. During its short history, researchers in the Donnelly Centre have already made key insights into the biology of cells and genes that underpins health and disease. These advances range from tracing how genetic errors can interact to affect disease, to understanding how proteins regulate gene expression, to engineering new technologies to manipulate human cells and regenerate tissue in the lab. In this time, the Centre has grown through recruiting world-class scientific talent from other leading institutes such as Harvard, Princeton, MIT, and the Sanger Institute, a key part of its success. The first decade of The Donnelly Centre has been a tremendous period of growth and achievement.